The LP arrives after the enormous success of her sophomore album “Mama Africa: The Diary of an African Woman” , and her gigantic debut “King of Queens” which saw the electric performer embarked on an extensive world tour in support of these sets, won numerous awards, break records and achieved a number of feats for African and world music. The “Black Magic” album features Nigerian hip-hop stars Olamide and Falz , while boasting production credits from V-Tek , KrizBeatz , Young D , Sess , Fliptyce , IAmBeat , Philkeyz , Coublon . The album from the #MTVMAMA2015 and #MTVMA Female” winner aims to celebrate the magic, conquests, struggles and power of the black skin. 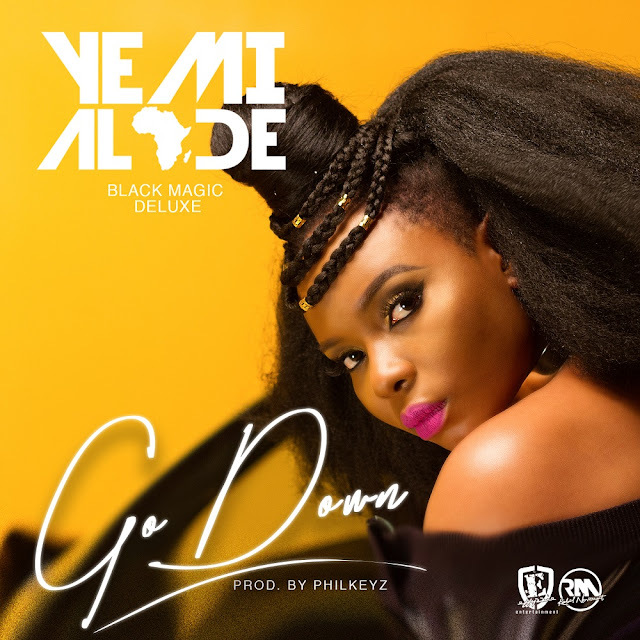 1 Response to "Yemi Alade Drops “Black Magic” L.P featuring Olamide & Falz; Listen to Hit-Track “Go Down”"